Soft to touch, this pajama is dreamy, sweet and adorable. 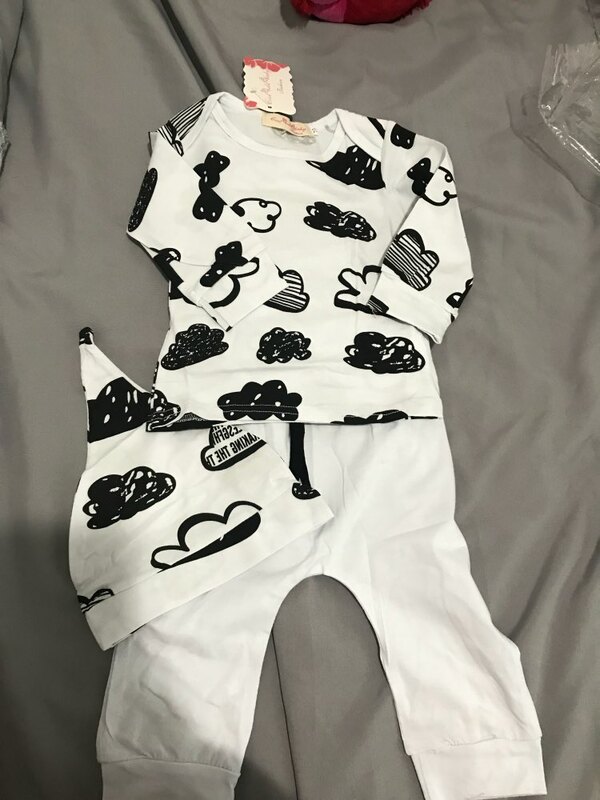 Made from our premium cotton & combed cotton this set has our softest touch yet for your little treasure to feel like their floating in clouds. I love this outfit the pants are made of a different material then the top and hat the pants are more soft the top feels more like cotton. I love it ! So cute. Love it! Soft too.